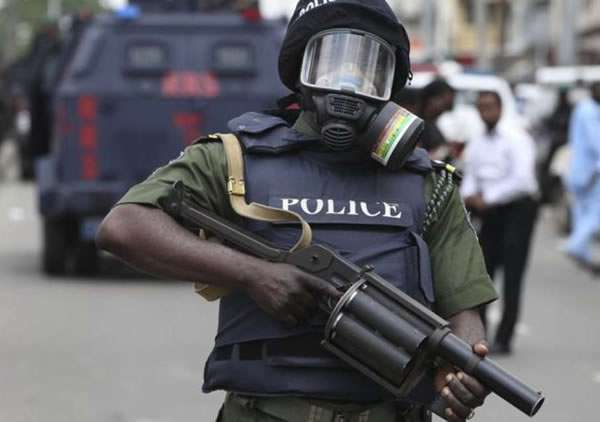 A suspected notorious cultists/armed robber involved in a robbery incident at Azikoro village, Yenagoa, Bayelsa State capital, has been shot dead by Police operatives in the State. The 23 year-old suspect identified as Selepamodei Ogili, who is also an ex-convict, died in a gun duel between his 3-man robbery gang and members of the Anti-Robbery Squad of the Azikoro Police Division. Another of the gang, a 22 year-old final year Political Science Student of the State-owned Niger Delta University, NDU, Kimipanipre Franklin, popularly known as Castro, who was part of the dreaded armed robbery gang also sustained fatal injuries during the shootout which lasted for hours, while the third suspect was reported to have escape. While confirming the development to Our Bayelsa State Correspondent, the Police Public Relations Officer of the State, DSP Asinim Butswat, said Castro who is now in Police custody, has confessed that they are members of the infamous Bobos Cult Group. According to Butswat, “on April 8, 2018 at about 2 o'clock in the night, the Command Control Room alerted the Azikoro Divisional Police Anti-Robbery Team that armed robbers were operating behind the Azikoro Health Centre and that the team responded swiftly and met the three daredevil armed robbers on the spot, who then engaged the Police in a gun duel”. DSP Asinim Butswat disclosed that the team recovered one locally made cut-to-size gun, two live cartridges, eight mobile phones, some jewelries and some cash, adding that the victims of the robbery attack have identified their phones among those items recovered from the suspects. Butswat said further investigation into the case has led to the arrest of a 16 year-old girl, Favour Wisdom, alleged to be the girlfriend of the deceased armed robber and also their armourer. He disclosed that the counter security measure code-named 'Operation Safer Bayelsa' is recording remarkable gains, as officers of the command are more determined to confront frontally violent crimes elements in the State and also called on members of the public to continue to partner with the Police by providing useful information to ensure a safer Bayelsa.